TUSCALOOSA, Ala. — The University of Alabama’s newest student residence hall has been named for one of the University’s and state’s greatest civic leaders, the Honorable John H. England Jr., a member of the Board of Trustees of The University of Alabama System and circuit judge in Tuscaloosa. 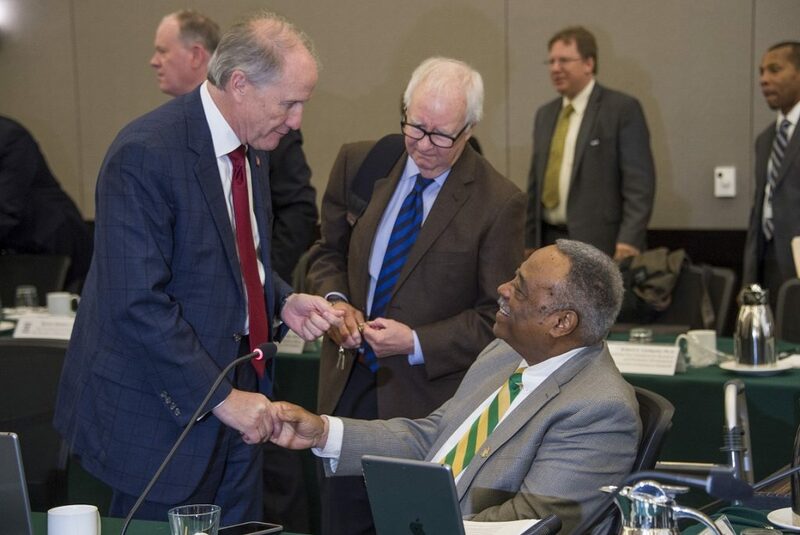 The Honorable John H. England Jr.
UA President Stuart R. Bell made the surprise announcement at the Board of Trustees meeting in Birmingham Friday, Feb. 8. The freshman residence hall, with more than 490 beds, is located near the Ferguson Student Center and Lakeside Dining facility and opened last fall. It features modern amenities in the middle of campus, including a convenience store. 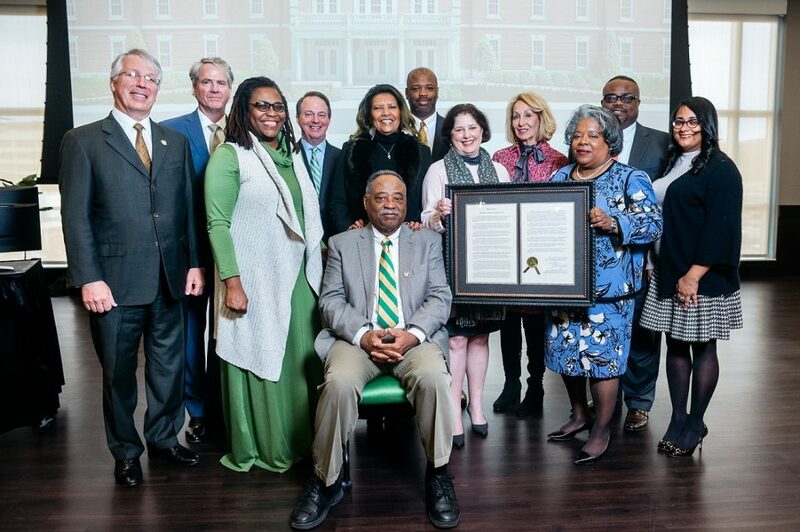 “John England Jr. Hall will be a campus landmark signifying the enormous contributions of one of Alabama’s most distinguished leaders,” Board President pro tempore Ron Gray said Friday. “It is a great honor to serve with Judge England on the Board of Trustees and witness first-hand the strength of his character and the depth of his commitment to our students and their success. England’s life and career have been marked by distinguished leadership, including his tenure as a member of The University of Alabama System Board of Trustees since 1998. A native of Uniontown, he earned a bachelor’s degree from Tuskegee Institute before serving in the U.S. Army during the Vietnam War. 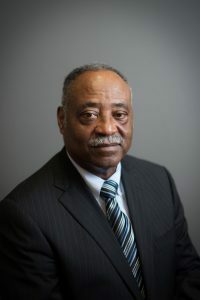 He later became one of the first African Americans to graduate from what is now the Hugh F. Culverhouse Jr. School of Law at The University of Alabama, where he also earned the 2018 Sam W. Pipes Distinguished Alumnus Award. England has served the Tuscaloosa city and county government in various roles. 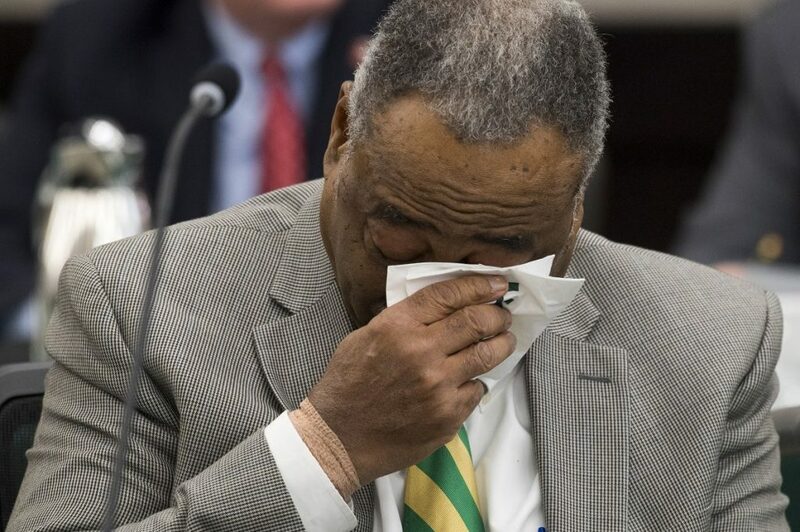 Elected to the Tuscaloosa City Council in 1985, he was first appointed to the Tuscaloosa County Circuit Court bench in 1993 and earned distinction as a member of the Alabama State Supreme Court (1999-2001). He is past state president of the Alabama Circuit Judges Association, the Alabama Lawyers Association and the Alabama Judicial Council. England volunteers his time with civic and professional organizations, including, among others, the Boys and Girls Clubs, YMCA, Salvation Army, Easter Seals of West Alabama and the Alabama Civil Justice Foundation. England reacts to the surprise announcement. 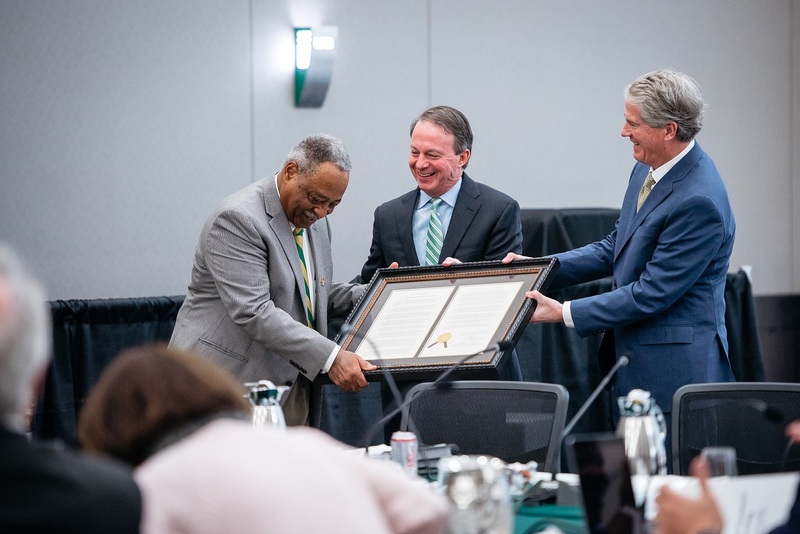 Ron Gray (center), UA System Board President pro tempore, and Finis St. John (right), interim UA System Chancellor, present the resolution to England. UA President Stuart R. Bell congratulates England. England is surrounded by family and members of the UA System Board of Trustees.